Copyright © 2019 Abama Chemicals Inc. All Rights Reserved. 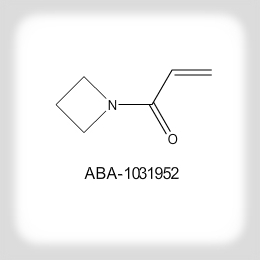 Abamachem Ltd is a contract research organization in the field of synthetic organic chemistry. Company was founded by a team of experienced organic chemists in 2008. Over the last decade the chemists of Abamachem have taken part in numerous joint projects with customers from Europe and United States. Headquarters and laboratories of Abamachem are located in Kyiv, Ukraine. Our team of eminently qualified chemists has vast experience in synthesis of heterocyclic compounds as well as organic compounds containing halogens (including fluorine), sulfur, phosphorous and boron. During the last 6 months we expanded our staff to over 40 employees, thoroughly recruiting only the best specialists. We are confident that Abamachem makes an important contribution to the worldwide market of specialty chemicals, providing clients access to sophisticated reactive intermediates of the superior quality at reasonable cost.